A Taste of Portland annual social and auction benefit will take place the evening of Thursday, March 31 at the Laurelhurst Club (3721 SE Ankeny St). Save the date, and buy your tickets here. March 31 is fast approaching, and we could use your help preparing. 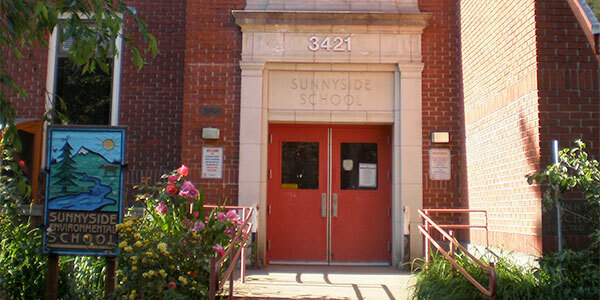 What better way to give a taste of our community than with a video of our kiddos and staff, who make Sunnyside Environmental School so great! With that, we are asking for you to take a video snap (30 seconds or shorter, please) of your kids, their teachers or whomever you can, saying a few words of what makes Sunnyside so special and unique. This heartfelt video will be shown the night of the auction and will surely be a memorable one. Please get these videos and pictures in ASAP, so our gracious video editing volunteer, Rich Oskin, can get it put together before the last hour. We strongly encourage creativity and can also accept photos. Please shoot the video somewhere on SES grounds. Landscape format (hold your phone sideways!) works and looks best.